For the past decade, there has been a great deal of concern within our school community over the unsafe conditions of the field, which have caused dust inhalation, injuries and greatly reduced recreation time. Our students have limited opportunities to play outside. This affects not just physical health, but socialization and learning. Principal Morris estimates that our children lost 30 days of full outdoor recess since January 2015 alone due to field conditions. There have been many attempts to address this problem. The field was closed for approximately six months in 2010 to allow for re-seeding, but as soon as it was back in regular use, the grass disappeared. New sod was laid down twice, at a cost to MCPS of around $50,000-$60,000 each time. These attempts also were unsuccessful. It has become clear that due to the field’s small size (smallest of all MCPS schools) and the large student population using it, as well as its hard-packed composition, it simply cannot support grass. The MCPS Facilities Director and many Somerset teachers and parents have come to the realization that the only viable option is to install synthetic turf (with plant-based infill). MCPS is facing a budget shortfall and severe overcrowding, and cannot commit funds to this. The estimate to renovate the field, including extensive storm water management work to comply with new regulations, is $550,000. We are prepared to raise this money from within our community. Last week, the Montgomery County Board of Education unanimously voted to approve our request to raise money for a field renovation. One council member who had visited Somerset said that she was “shocked” at the field’s condition and small size. Another praised us for our willingness to work in partnership with MCPS. In addition, the PTA has pledged $54,321 from its reserves to jump start this critical initiative. The tax-exempt Somerset Foundation recently established a separate Field Capital Campaign Account and Field Capital Campaign Committee to lead the effort. We are now closer than we have ever been to making the dream of a usable field a reality. We will launch an official capital campaign in the fall, and will need all the help we can get. We have a very ambitious goal: to break ground in Spring 2016, so that we could have a new field in the Fall of 2016 (it is expected to take about six months). We want to get our kids outside and moving as soon as possible! Feel free to contact any of us for more information and to get involved. If you wish to send a check to support the Play It Forward campaign, please write it out to the Somerset Elementary School Educational Foundation, note Field Campaign in the memo line, and mail it P.O. Box 30764, Bethesda, MD 20824-0764. 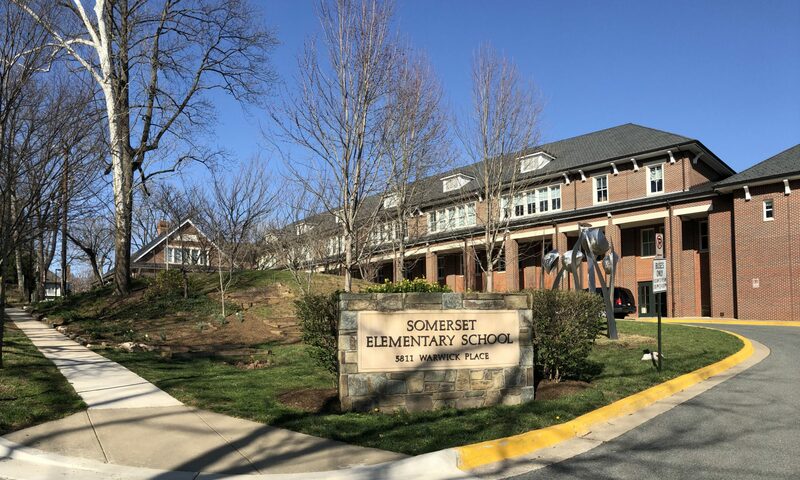 Please join the Somerset Elementary School Educational Foundation for our Countdown to Summer Party on April 25th, from 6-8 pm. It’s your chance to have fun with other Somerset ES parents and school staff, and to support our school and community. And, as you can see from the silent auction catalog, it’s also your opportunity to bid on exciting events you’ll only find there! The Foundation would like to thank the lead sponsor for the party, Phyllis Wiesenfelder, Long & Foster Real Estate, Inc., and all of our contributors. To purchase tickets or make a donation, please visit http://www.somerset-foundation.org/spring-party/. Spring has sprung and we are ready to celebrate! Please join the Somerset Elementary School Educational Foundation on May 10 from 6:00-8:00 for a May Fiesta party complete with spicy foods and cool drinks. It is a chance to have fun with other Somerset ES parents and school staff, and to raise money for our school and community. Light appetizers will be provided. Tickets to this event for adults can be purchased online at https://somerset-foundation.org/spring-fiesta-tickets-2014/ or at the door. Hope to see you there! Wear your finest hat and enjoy a mint julep! Hobnob with Somerset staff and parents! Click here to see the auction catalog.